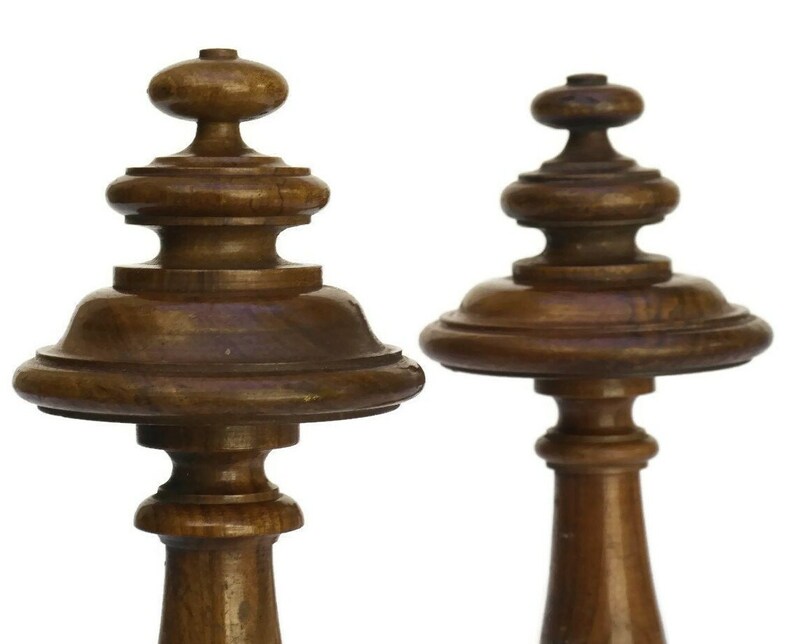 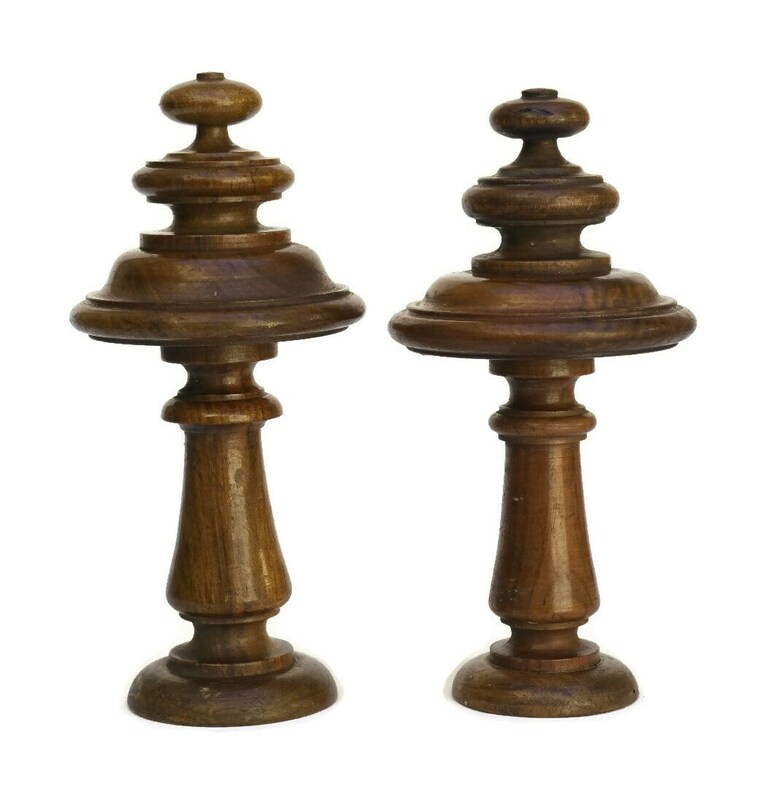 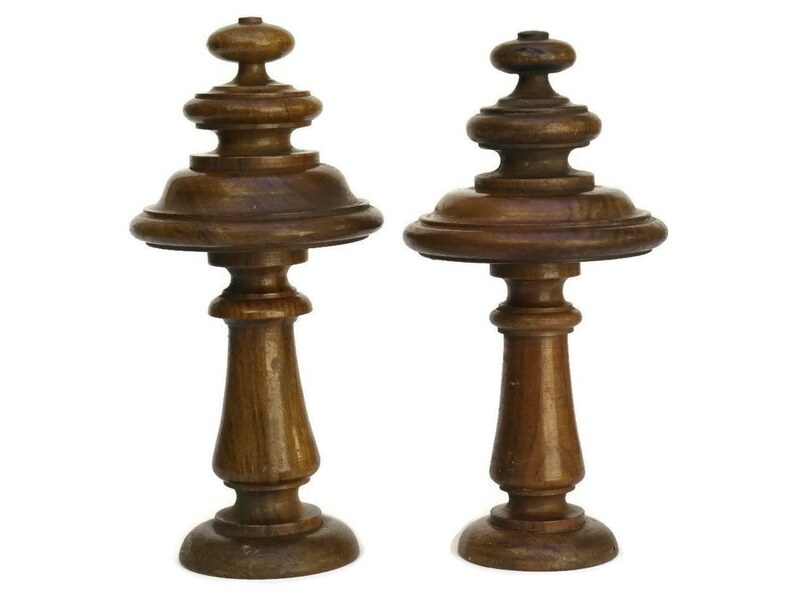 A pair of salvaged French antique wooden finials from the 1800s. 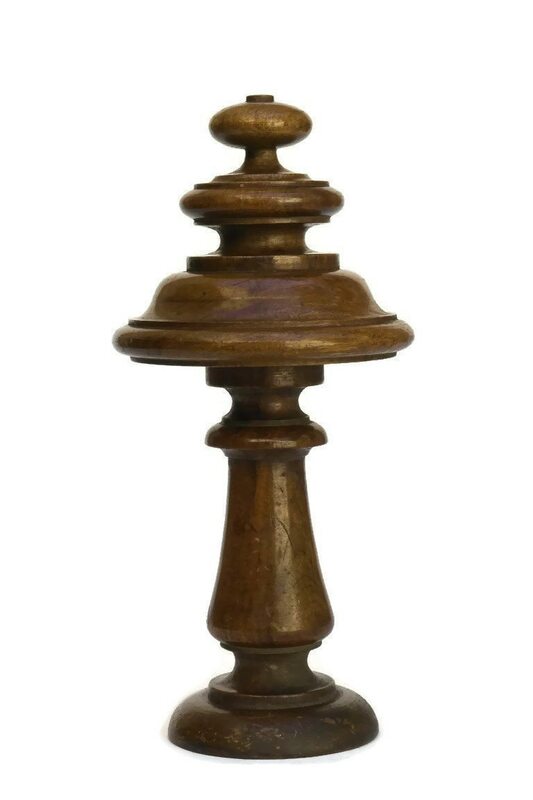 The turned wood curtain rod finials feature an elegant spindle design with large decorative tops. 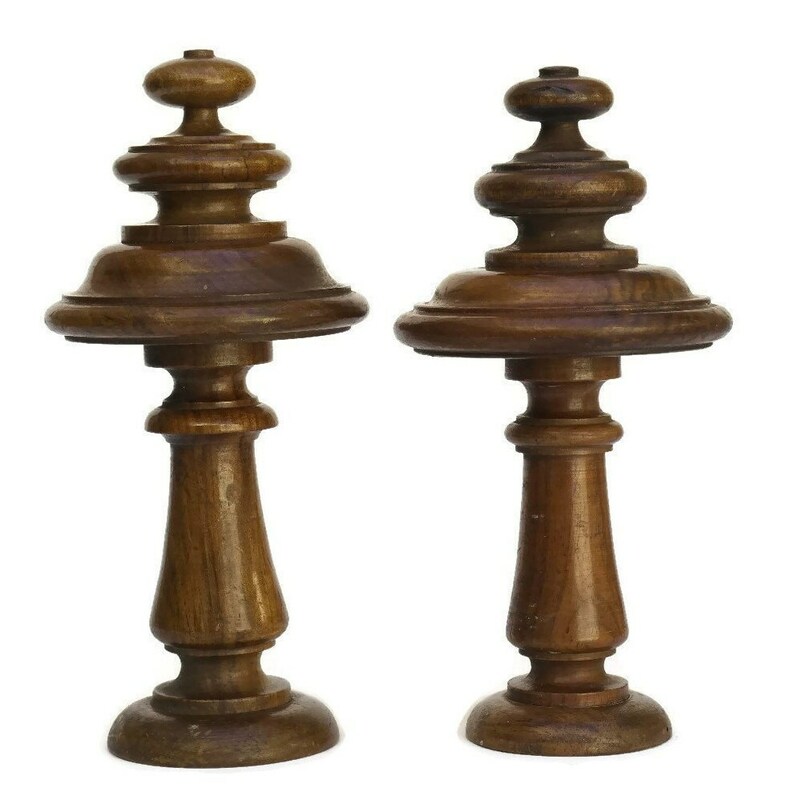 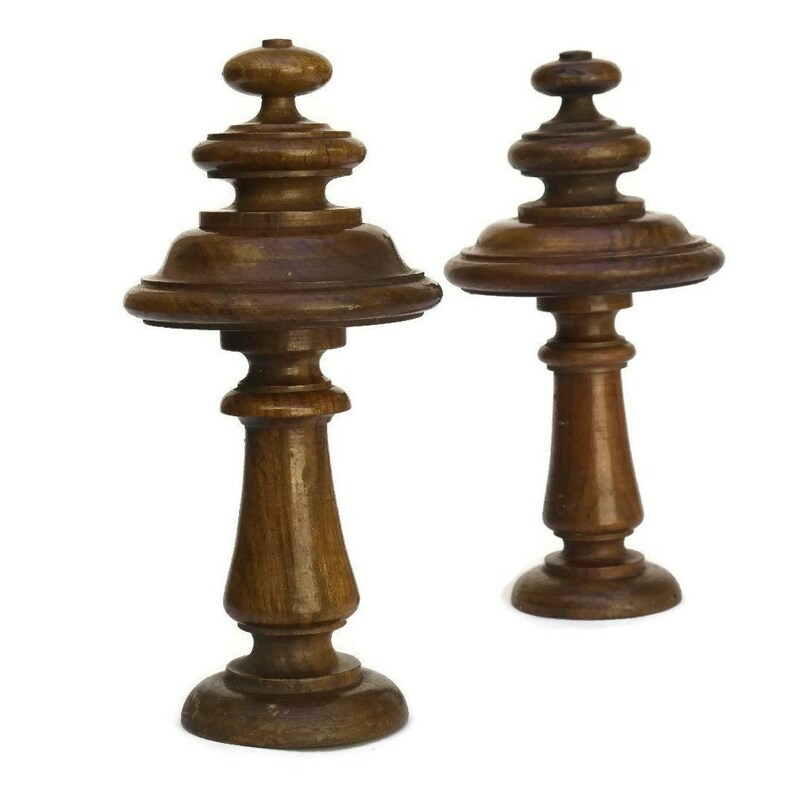 The wood has an attractive aged patina making these finials the perfect finishing touch for a sophisticated French decor scheme. 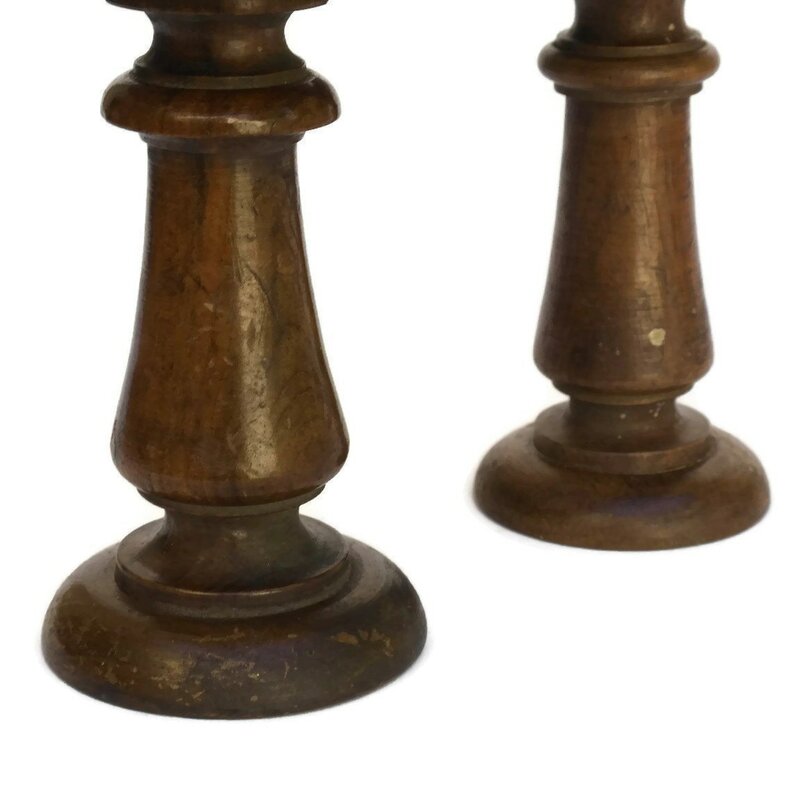 7.5" tall x 3" wide (18,5 cm x 8 cm). 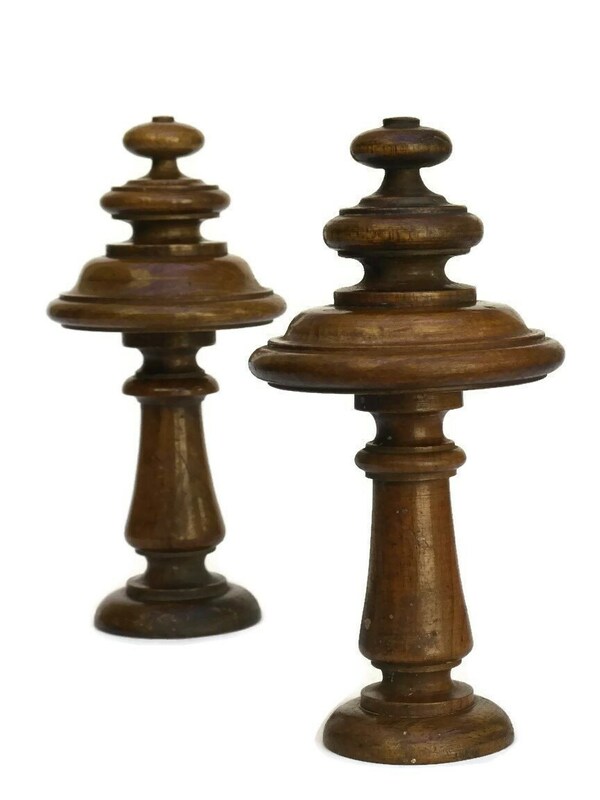 The pair of wooden finials are in very good antique condition with some light signs of age and wear. 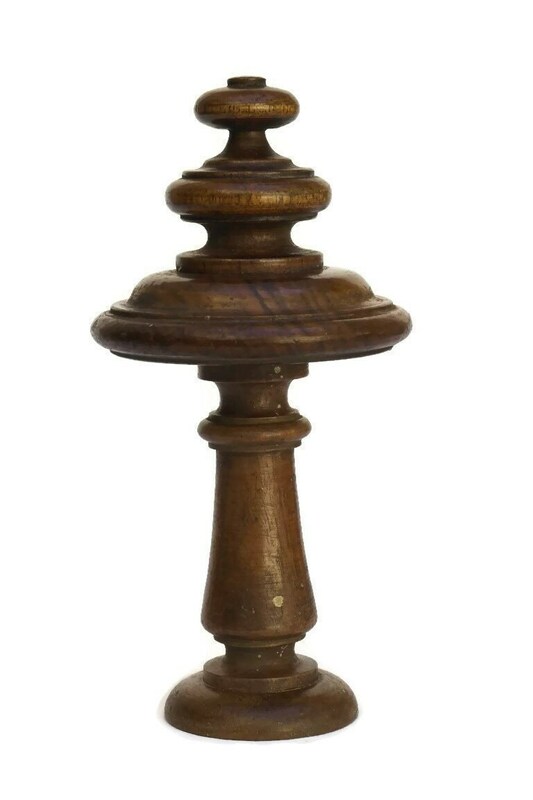 Item as described, well packed and quickly shipped. 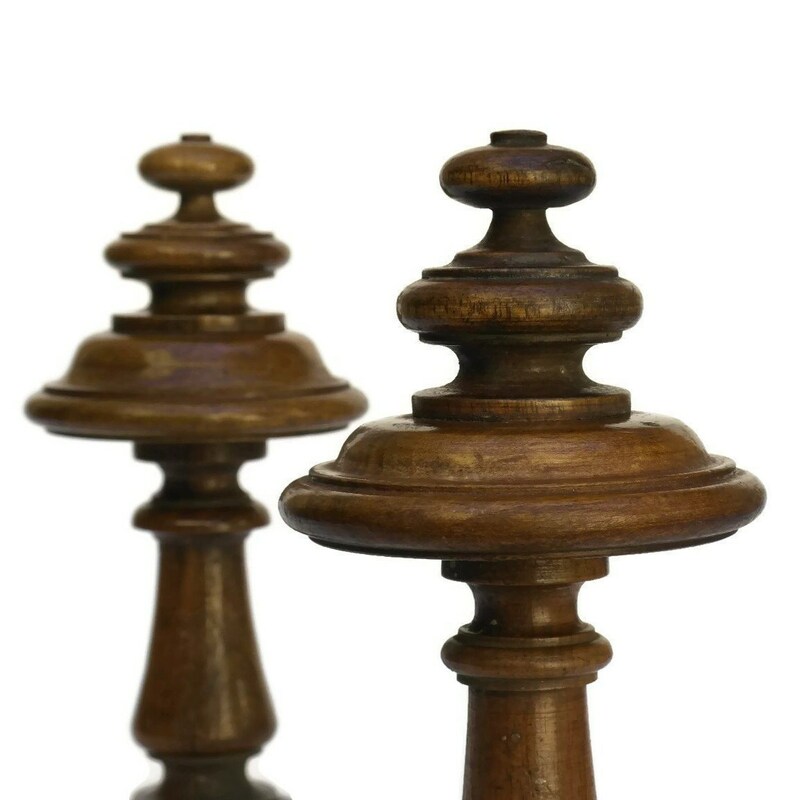 Seller helpful with detail and dimension questions.